State regulators have come up with a "final" version of their gameplan to implement Governor Jerry Brown's sweeping April 1 mandate to save water. This is the version that the State Water Resources Control Board will likely vote to approve during it's two-day meeting next week. The 31-point plan is aimed at cutting statewide water use by 25 percent on average, versus 2013 levels. It assigns local water agencies mandatory conservation targets based on how much water they've been using on a per-capita basis. The current range runs from a low of eight percent to a high of 36 percent monthly savings, starting this summer. Individual cities and water districts have been lobbying for easier thresholds, touting their ongoing efforts to save water. But the newest revision of proposed state regulations appears to hold firm for the most part, on quotas that local water suppliers will have to attain. One change allows local agencies to report total water use by commercial and industrial consumers, as opposed to breaking out the data by customer. Officials say they might revisit that once local agencies refine their data collection. Just hours before the proposed regulation's third iteration was unveiled, Brown emerged from a meeting with mayors from around the state with new legislation in hand that could help cities in their efforts to save water. 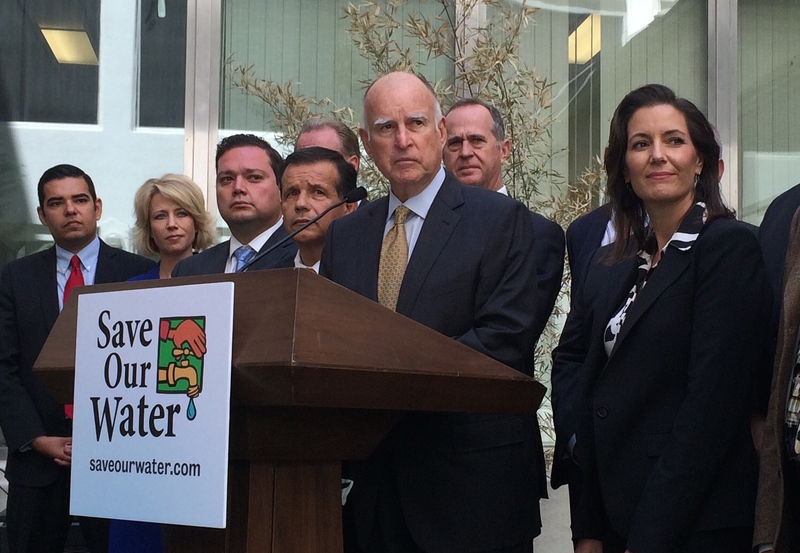 "There's a lot to be done," Brown told reporters, in California's quest for drought resilience. The governor called this latest step, "another installment on a long enterprise to live with the changing climate and a drought of uncertain duration." The legislation would also allow cities to fast-track environmental reviews for water-saving projects -- but it did not appear that Brown was offering any easing of the new conservation quotas. Regarding the steep jump in the maximum fine for water hogs, Brown said, "You can be sure that only the worst offender will be getting that." "Fines are a tool," added Felicia Marcus, who chairs the water board. "And they're the last tool you use." Marcus' board will continue to take comments on the new drought regulations right up until the final vote, during a two-day meeting scheduled for May 5-6.